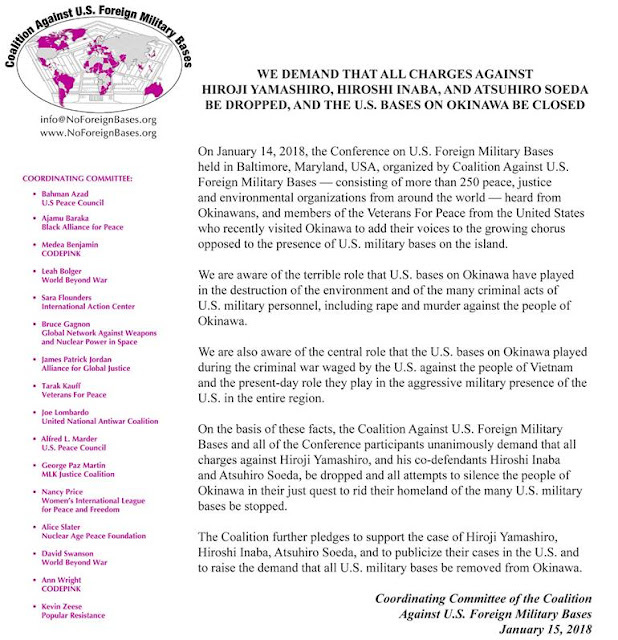 U.S. & Japan: Stop harassing Okinawan activists! Ana Rebrii from Ukraine also speaking at the No Base conference in Baltimore. Hyun Lee and Will Griffin were on the Asia-Pacific Pivot panel that I moderated last weekend in Baltimore at the No Bases conference. 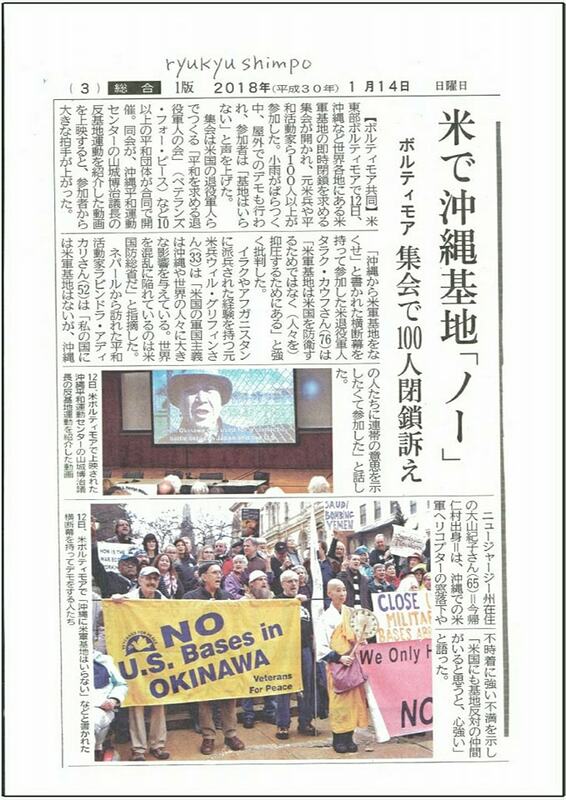 They both did an excellent job of sharing stories about the active resistance in South Korea and Okinawa against existing US bases. In both of those places the Pentagon is now expanding US military bases in order to handle the 'pivot' of more forces into the region that are being used to encircle China and Russia. North Korea is used as the foil to excuse this massive Pentagon expansion. Israeli occupiers destroyed more than 100 olive trees owned by Palestinian villagers. Evangelical churches and Jewish supporters in the US help pay for these illegal Israeli 'settlements' on Palestinian lands. US taxpayers help pay for 'security' that allows the Israeli government to harass and suppress the Palestinian people. This is pure evil - no other way to look at it. 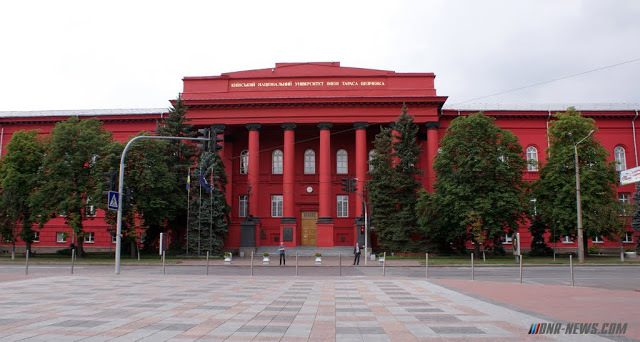 The Kiev National University has canceled all classes until spring, due to lack of funds to pay for heat and electricity. It becomes starkly obvious that the war in the East is largely being funded by external parties, in a country that cannot afford to heat its own Universities. 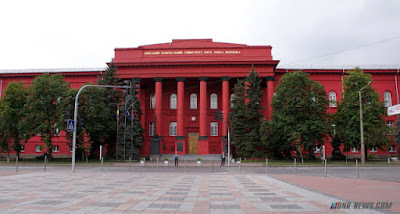 And other universities across Ukraine are also closing until the spring. Several Odessa universities have canceled all classes until March 26 due to the inability to pay to heat the classrooms. Classes are canceled, in particular, in Odessa National University (ONU), Odessa Law Academy, and Academy of Food Technologies. Teachers at ONU also reported that since January 1, 2018, new standards for lighting in the auditoriums have come into force, which the universities are also unable to fulfill due to lack of funds. In the regional department of education and science, commenting further, they stated that all higher educational institutions are autonomous organizations, and their leadership itself decides how to organize their educational process. More than 60% of Ukrainians cannot pay for utilities. This is evidenced by the survey data of the sociological group "Rating". The absolute majority of respondents - 97% are feeling pinched by the price increase for consumer goods and services this year. The US ran the 2014 coup d'etat in Ukraine and now the country is collapsing. Washington does not give a damn - they wanted chaos along the Russian border and they have it. Many Ukrainians have escaped to Europe or Russia looking for work and safety from the growing Nazification of the country. The attacks on the Donbass in eastern Ukraine (bordering Russia) have lately been increasing as perpetual war inside the country enables rule by the puppet regime of Petro Poroshenko, which is propped up by Washington and Brussels (NATO HQ). In the end Ukraine has become a failed state and will soon completely collapse. The US and the EU will abandon Ukraine and Russia will be left to pick up the pieces. Now you might imagine why the people of Crimea voted overwhelmingly to rejoin with Russia. They saw the train coming and got themselves off the tracks. 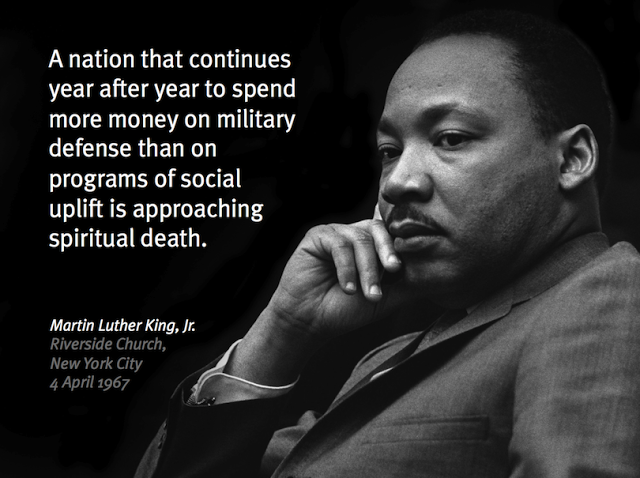 Cushion the empire's collapse - Bring our war $$$ home! Dr. Margaret Flowers speaking at the No Base rally organized by the Coalition Against U.S. Foreign Military Bases​ last weekend in Baltimore, Maryland. The Taxation Committee in Augusta has scheduled the public hearing for LD 1781 (the General Dynamics $60 million corporate subsidy bill) for Tuesday, January 30 at 1:00 pm. The hearing will be held in Room 127 inside the State House. Additionally the Taxation Committee Work Session on the same bill will ‘probably’ be held on Tuesday, February 6 at 1:00 pm so please put that on your calendar as well. At the hearing you need to assemble people from every county and both parties—lots of them. Let them fill the meeting room, line the hallways, spill out into the street. A repetition of the facts—how much money this corporation has earned; how much cash on hand they have; how much they pay senior staff; how much money they’ve already gotten from the state will not hurt you. Say it over and over. Some speakers should point out the far more important expenditures facing the State. Keep repeating that too. At this point I have heard that 20 Op-Eds or Letters to Editor have been written to at least 10 Maine daily and weekly papers about this bill. I know that others are on the way. Please consider writing something yourself – the only way we can defeat this outrageous corporate grab of the Maine treasury is if more people across the state know about it and have a chance to react. Please do all you can to bring a car load to the public hearing in Augusta on January 30. Thanks to all who are helping so much to stop this corporate welfare bill. Enclosed is our annual dues for 2018 in the amount of ___________ (pay what you can best afford on a sliding scale between $10 - $100). Thank you for your support. Best wishes in the new year. Bath Iron Works wants another $60 million from Maine taxpayers. The Legislature’s answer should be no. Not content with the roughly $20 million it secured in the early 1980s from the state and the city of Portland for a failed dry dock facility; the $198 million for plant renovation provided by the Legislature and the city of Bath in the late 1990s (portions of which are still being paid out to BIW), or the additional $3.7 million squeezed out of Bath in 2013, BIW now wants another $60 million from Maine’s taxpayers via LD 1781. Let’s get some facts on the table. First, Maine is a relatively poor state. Recent data indicates that per capita income nationally is $46,000; per capita income in Maine is less than $41,000, or 33rd in the nation. The per-capita income in every other New England state is above the national average and well above income levels in Maine. Second, the budgetary needs currently facing the state are huge. The legislative session now underway is charged with finding $50 million to $60 million to fund Medicaid health insurance expansion. Another $30 million to $50 million will almost certainly be needed to repay the federal government as a result of mismanagement at, and the decertification of, the Riverview Psychiatric Center. The state’s roads and bridges continue to be woefully underfunded, as is the state’s battle against the opioid crisis. 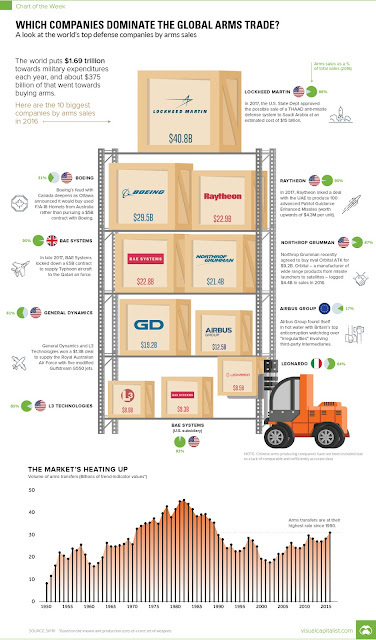 General Dynamics (the parent corporation of BIW) is the fifth-largest defense contractor in the world, and ranks 90th on the most recent list of Fortune 500 companies; from the late 1990s to the present it has climbed steadily from 375th on the Fortune list to its present position. 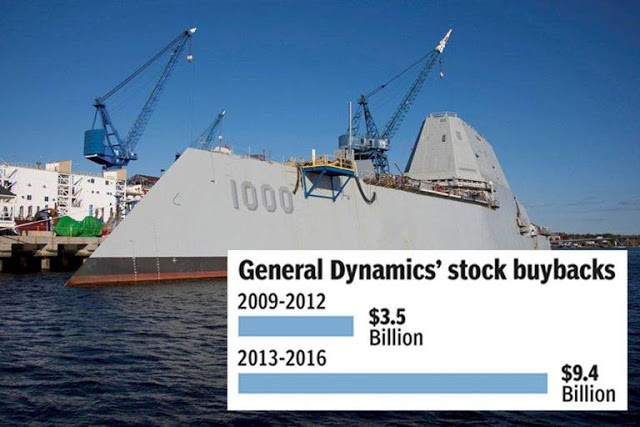 General Dynamics had $31.3 billion in revenues in 2016 (roughly four times the annual budget of the state of Maine) and earned just under $3 billion in profits (a 9.4 percent return on revenues). It pays its chief executive officer $21.2 million annually, and four others in corporate leadership earn a combined $21 million annually. Finally, BIW is acknowledged to be one of the most profitable of the company’s divisions; it has a near 10-year backlog of work. General Dynamics is so profitable and generated so much cash on hand that from 2009-2016 it engaged in stock buy-backs totaling $12.9 billion. As of September 2017 it still had $2.7 billion in cash and short-term investments on hand. That’s 27 times more money than the $100 million BIW is committed to invest in plant modernization over the next 20 years under the provisions of LD 1781 – two-thirds of which ($60 million) would be reimbursed by the taxpayers of Maine if this legislation is adopted. This is corporate greed run wild. BIW and its parent company are awash in money; they do not need $60 million from Maine taxpayers. They can bear the cost of any and all plant modernizations they deem necessary from cash on hand. Their competitive position versus the Huntington-Ingalls Shipyard in Mississippi is not at risk in the least degree. The argument that BIW needs another $60 million in corporate welfare to keep up with Ingalls is a sham, and has always been a sham. It is a ruse used by both corporations to extort state and local tax concessions from their respective hosts –concessions that fatten executive salaries, returns to shareholders, and the corporate bottom line. These two corporations are big, powerful, and an important part of the nation’s defense strategy, but they are not equal. Ingalls’ 2016 revenues were less than a quarter of General Dynamic’s revenues, and it ranks 380th on the Fortune 500. 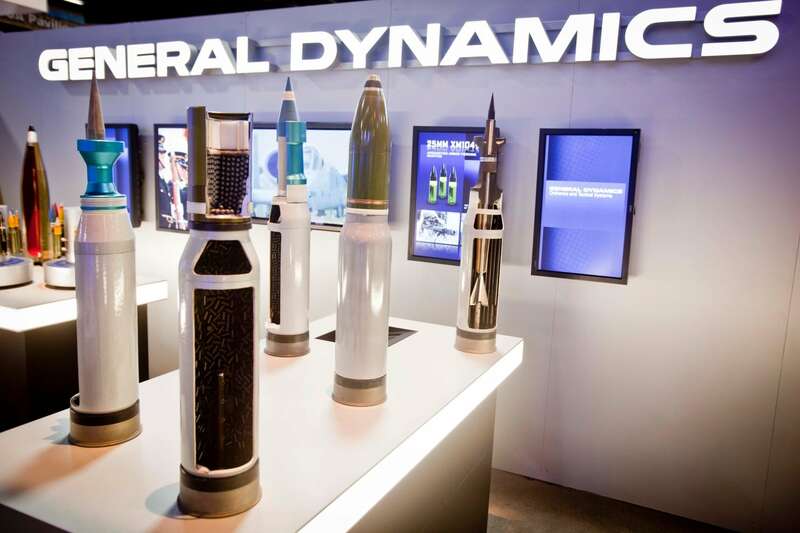 Its 2016 profit margins are comparable, but General Dynamics’ is slightly higher. Theirs is a friendly competition to produce military vessels for a single buyer, the U.S. government. This buyer divides its purchases almost evenly between both of these yards. It wants the best and builds-in adequate profit margins to get the best. For strategic reasons, the government needs the geographic separation that Ingalls and BIW provide. The Trump defense budget suggests that both of these yards will do well for many years to come. In short, LD 1781 is not needed. BIW and General Dynamics should be embarrassed to put this measure forward; it is an unconscionable corporate overreach. Maine has far more pressing demands for scarce tax dollars. The Legislature should say no. This an absolutely ignorant and evil display of fascism - it sickens me. I love baseball and to see the corporations that control the sport at the pro level allow the game to be used like this to sell war makes me furious. The message to the public is clear. We control everything now - including the ball and the pitchers mound. Be a good lackey and you will be fine. But step out of line and our homegrown terrorists are ready to take you down. Look what they did in Ferguson and many other places in this nations history like Wounded Knee and more recently at Standing Rock. 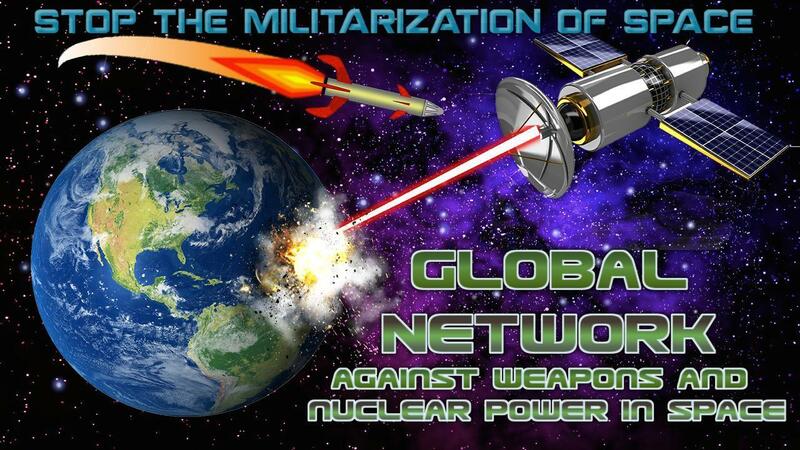 We are literally at the tipping point where we either push these evil powers back or they take full control. That is where we are today. 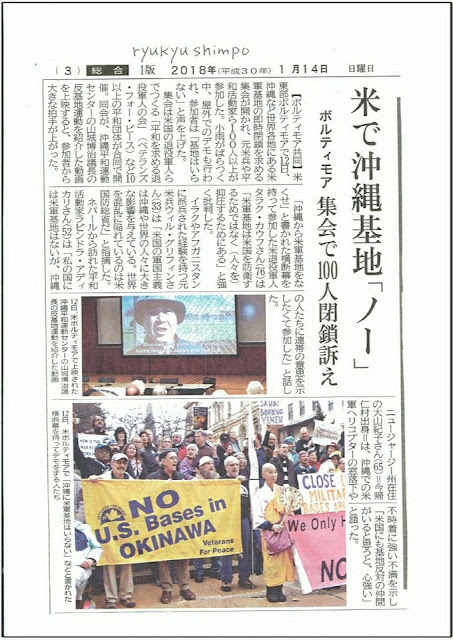 Okinawa newspaper runs photos from No Bases Conference in Baltimore.....great event. One of best conferences I have ever been to. Fellow Mainer Ridgely Fuller told me it was one of two best she has ever been to - I'd agree. One tremendous panel of speakers after the other. In November of last year, Maine peace activists began contacting state Rep. Jennifer DeChant (D-Bath) and Sen. Eloise Vitelli (D-Arrowsic) to voice their opposition to a proposed $60-million tax deal being considered on behalf of General Dynamics subsidiary Bath Iron Works. “As your constituent, I urge you to reject any tax breaks for General Dynamics,” Mary Beth Sullivan, of Bath, wrote in a Nov. 30 email to Vitelli, cosponsor of the tax bill made available online for the first time last week. 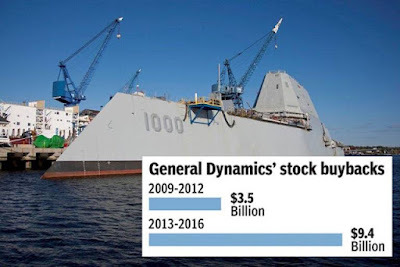 “General Dynamics spent $9.4-billion buying back its own stocks between 2013-2016…General Dynamics, like most weapons corporations, gets the vast majority of its operating funds from the federal treasury. The taxpayers are paying the freight from the start. The message was among several emails disclosed by Vitelli in response to a Maine Freedom of Access Act request filed by a reporter last month with the intent of gaining greater insight into the development of the Bath Iron Works tax bill. A similar notice was sent to DeChant, who acknowledged its receipt but has yet to provide the requested documents. In response to an email seeking comment on this story, DeChant erroneously insisted she did not make the comment. When reached by email, two peace activists said they found DeChant’s use of the term “trigger happy” striking. Both characterized DeChant as a representative who willfully prioritizes the demands of a wealthy corporation over the concerns of Maine taxpayers. Activist and educator Lisa Savage, who has contacted DeChant via email and has since been blocked from following the representative on Twitter, suggested the pejorative label was ironic. She added, “Rep. DeChant is a confused neoliberal who can’t quite understand if she’s against corporate greed (as she claims)” or not. 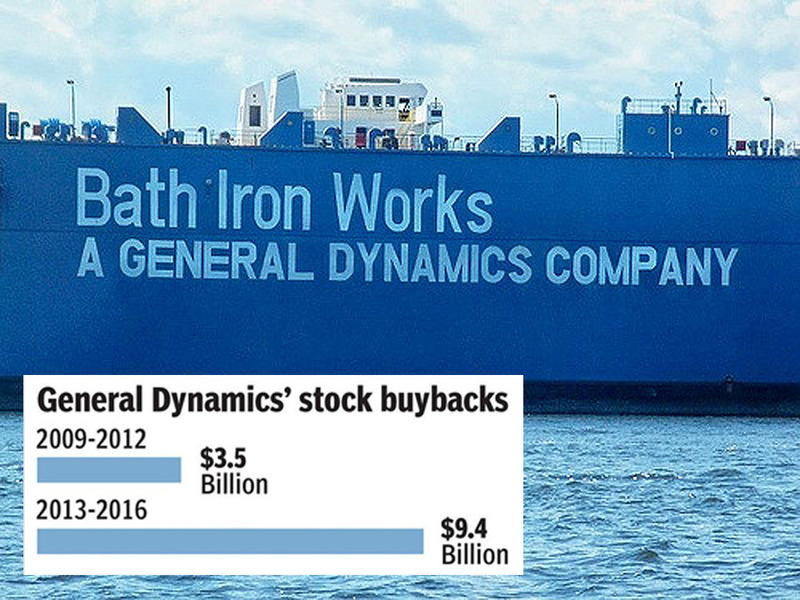 Since stating publicly her intent to extend a $60-million tax giveaway, originally enacted in 1997, that would allow Bath Iron Works to annually keep up to $3-million of employee income taxes for 20 years, DeChant has had an increasingly strained relationship with opponents of the bill. Fallout from the meeting is well documented in the emails turned over by Vitelli. Vitelli also provided one email exchange from an @main.edu address dated prior to her winning back her District 23 seat in November 2016. Based on her correspondence, Vitelli’s email contact with officials at Bath Iron Works appears limited but congenial. “Thank you again for your time and for providing [Sen.] Brownie [Carson (D-Harpswell)] and me with such a thorough background on BIW,” Vitelli wrote in a July 2016 email to Bath Iron Works General Counsel Jon Fitzgerald sent from her @maine.edu account. Carson followed up with Fitzgerald later that day: “Have a great summer, and see you later in the fall. Of course, we need to have success in this election cycle first–so lots of work between now and then.